At 2pm on Thursday, 31st July, 1902, Mt Kembla Mine suffered the worst mining disaster in Australia’s history, when a gas explosion killed 96 men and boys. The resulting Royal Commission concluded that a roof fall in a goafed area pushed inflammable gases into contact with a wheeler’s naked lamp, triggering a series of coal dust explosions. The disaster victims included some rescuers. 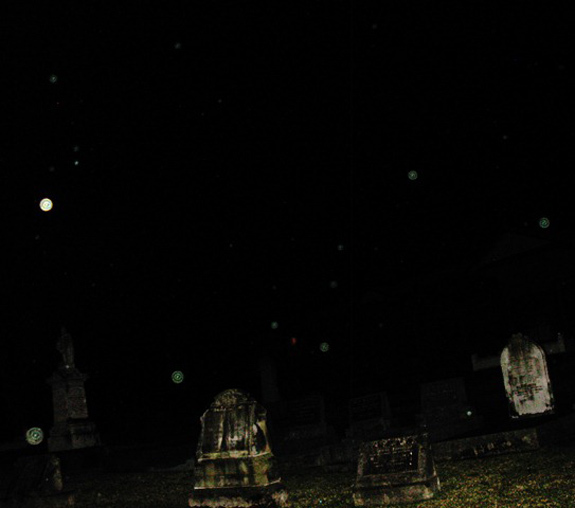 At first, the great number of dead posed the immediate problem of where the bodies were to be buried. 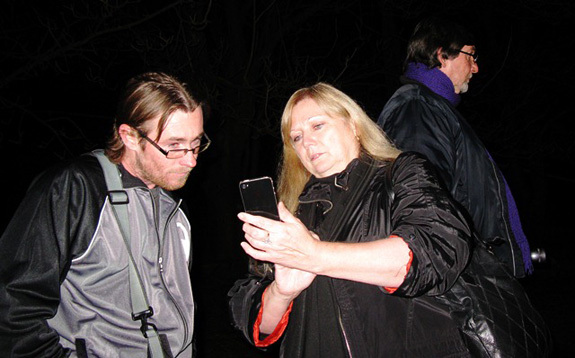 A site was chosen in Windy Gully on company donated land and a mass grave dug. Very quickly families claimed and removed their dead for burial. Of the 33 miners buried in Windy Gully Cemetery, four unclaimed bodies were buried in the mass grave on the high side of the Cemetery making Windy Gully the resting place of most of the miners killed in the explosion. 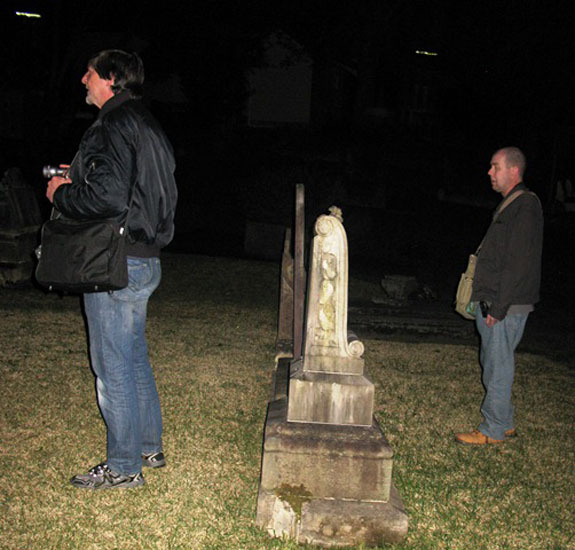 At least 32 bodies were buried in the Soldiers’ & Miners’ Anglican Church Cemetery, Mount Kembla. There were two unregistered deaths – one which is particularly poignant. Michael (Mickey) Brennan, aged 19, had begun work 4 days earlier. His body was never found – maybe his remains were buried in the mass grave. Work recommenced at Mt Kembla Mine 8 weeks later on 24th September, 1902. Many families lost the breadwinners. Some families lost all their men. Families had to be fed and clothed. Bereaved families had to be supported. And this support came from the immediate and the wider community. Donations came from overseas, especially from Britain, where the company was based and shareholders lived. Unfortunately, the majority of the funds did not reach the widows and children. Windy Gully Cemetery was finally consecrated 100 years later on 31st July, 2002, by Rev Gordon Bradbery, during the centenary commemoration of the disaster. Windy Gully Cemetery is recognized as a cemetery of State significance. Mickey Brennan, a young wheeler in the Mt Kembla Mine on the 31st July 1902, has the dubious distinction of being the only body never recovered from the disaster. His father is said to have had a coffin waiting in the machine shed while he searched every recess of the mine for two years. After which he walked into the Ocean in Wollongong. Some say committing suicide. Folklore tells of Mickey Brennan’s ghost haunting the mine, making strange noises, up until its closure in 1970. 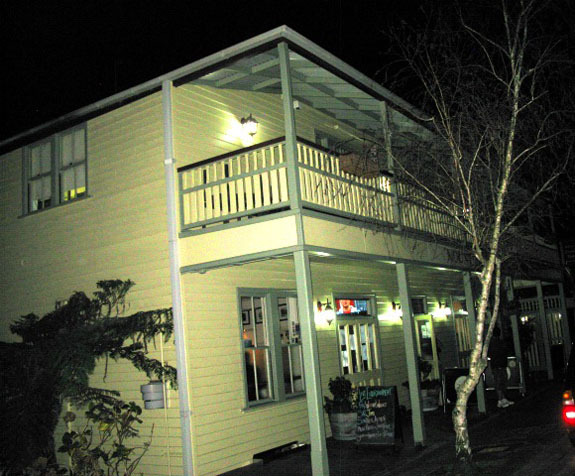 After this several publicans of the Mt Kembla Hotel report having seen or heard Mickey’s ghost in the cellar of the hotel. Hopefully the story of the disaster will not suffer the same fate as that of Mickey Brennan’s ghost; Unrequited, searching for recognition and proper acknowledgement in the annals of Australian history. 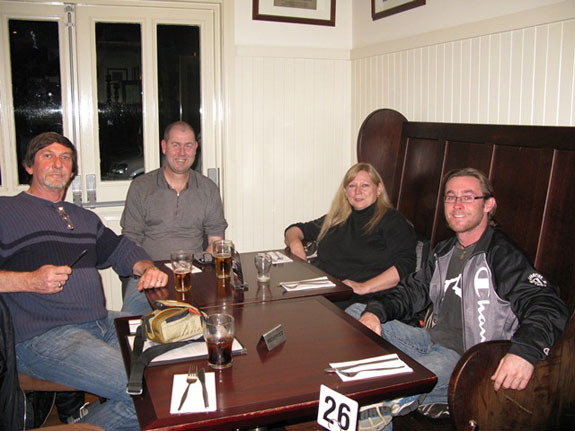 While waiting for the 96 candles ceremony at the cemetery to finish the SOuL Searchers investigation team had dinner at the Mt Kembla Pub. 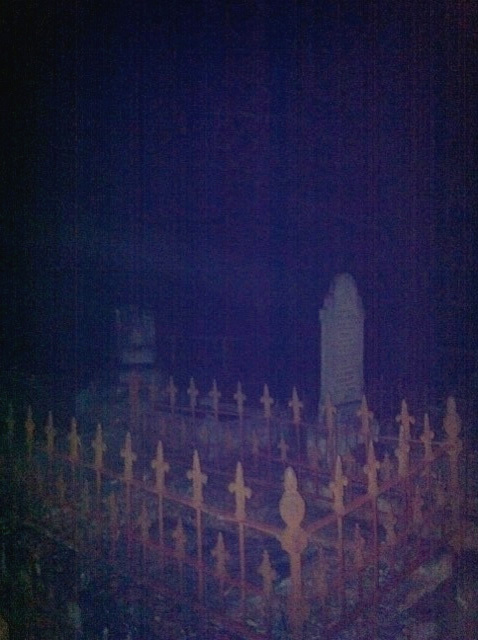 After dinner we visited the Village Cemetery. Some of the dead were buried in Mount Kembla’s village cemetery, which also contains a 2.5 metre tall memorial to the disaster, listing names of the miners and two rescuers who perished. the majority were buried in the more remote Windy Gully cemetery, 1.5 kilometres south-west of the village. 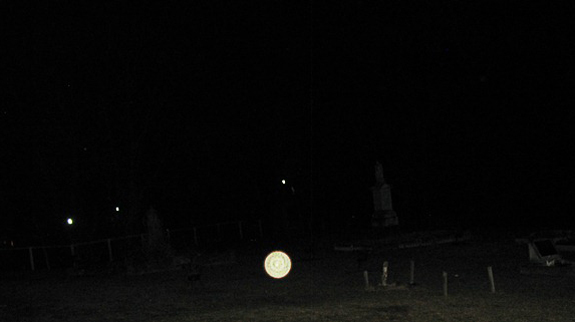 The Village cemetery was very peaceful on the night, and the only anomalies that were picked up were the orbs, which was predictable considering the amount of moisture in the air. 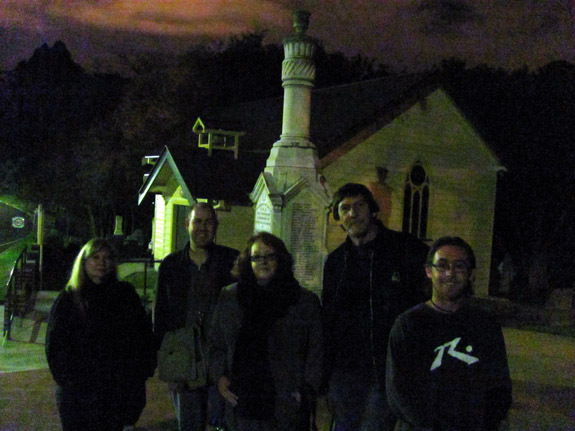 At 8:30pm we moved on to Windy Gully Cemetery. We walked around with our K2 and EMF detectors. A couple of times throughout the night the K2 lights flashed with no logical explanation. 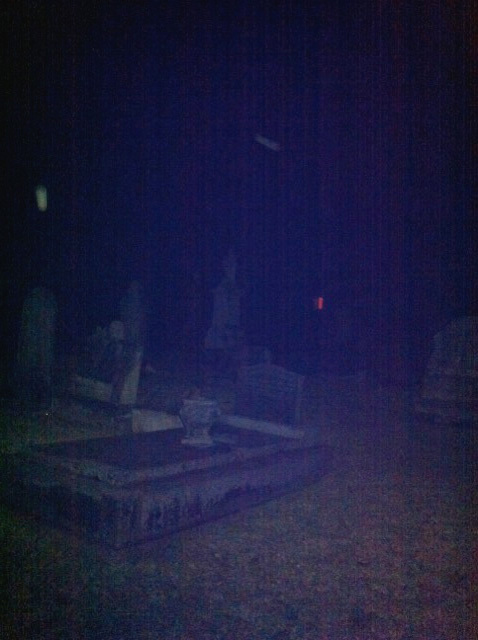 At one stage while sitting on one of the benches I caught a dark shape moving around near the trees at the back of the cemetery. 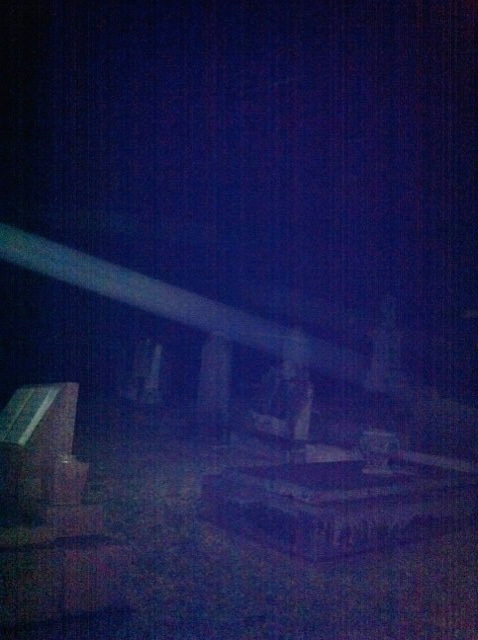 All the investigators on the night felt that the area at the front of the cemetery felt very sad. At one stage we all gathered there in quiet contemplation. 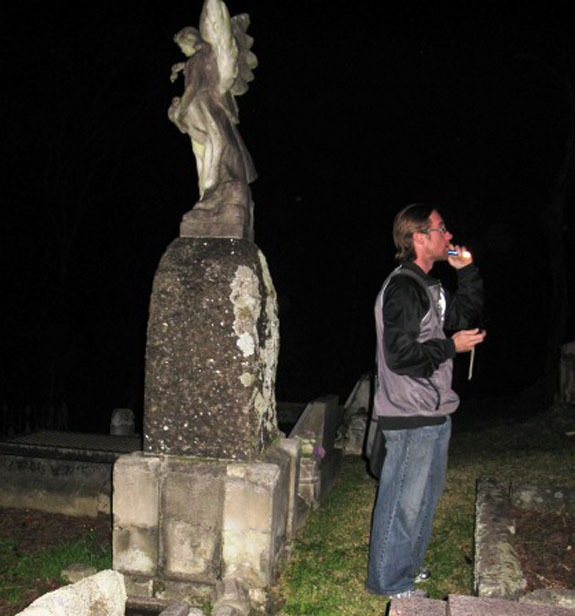 There were 2 EVPs recorded that night in relation to some questions we were being asked. Both were male. One was a faint “yes” to a question and the other was either “come here” or “I am here”. Also my EMF meter started reacting to the questions that were being asked. 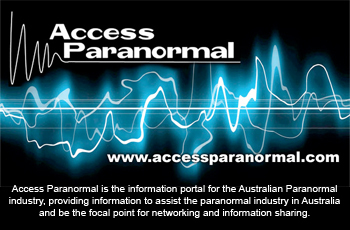 Copyright © 2007-2019 SOuL Searchers Centre for Paranormal Research & Investigation. All rights reserved. Website created & maintained by Jenny Taylor.